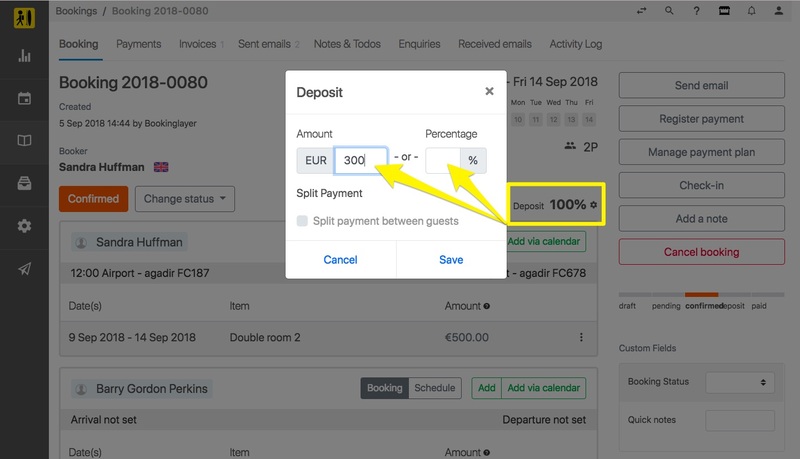 In your General Settings you can set a specific deposit amount that applies to all of your products (General Settings > Deposit and Last Minute). You can, however, override this setting for specific products and specific bookings. Please note that this percentage will overrule the default deposit amount that you have set in your Settings module. (General Settings > Deposit & Last Minute). 1. 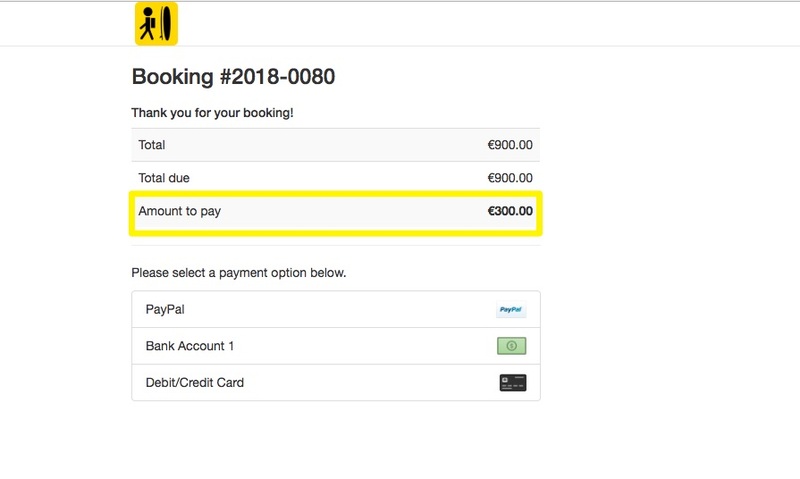 Open a booking and click on the Settings icon next to the deposit percentage. You can now enter either a fixed amount or a deposit percentage.